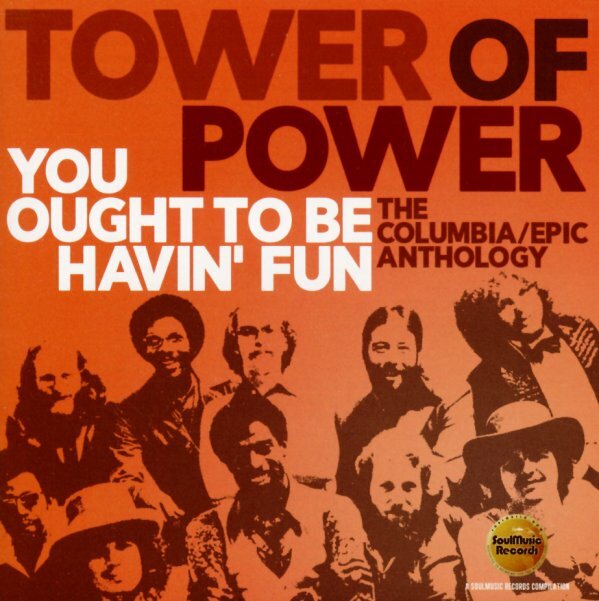 Two slices of work from Tower Of Power – both recorded for Sony/CBS, but with over a decade between them! First up, the set presents 19 killer cuts from the Columbia Records years of Tower Of Power – a time when the group moved away from Warner Brothers, where they were maybe losing a little steam – and forged this fantastic sense of soul that was missing from some of their earlier records! At the start, TOP were a rock-solid funk act – but here, they also bring a stronger soul approach to their vocals and songwriting – in a way that mixes their always-sharp instrumentation with a deeper, more developed vibe – super-strong material that sometimes doesn't always get its due. The set brings together Columbia tracks from albums, singles, and even some b-sides – with tracks that include "You Ought To Be Havin Fun", "Am I A Fool", "Lovin You Is Gonna See Me Thru", "Ain't Nothin Stoppin Us Now", "Because I Think The World Of You", "We Came To Play", "Love Bug", "While We Went To The Moon", "Somewhere Down The Road", "Deal With It", "By Your Side", and "Heaven Must Have Made You". The second half of the package features tunes the group recorded for Epic Records during the mid 90s – material that was only issued on CD at the time, and which shows TOP to continue the strengths of their earlier years! Some of the cuts go for a retro funk approach, others have a more contemporary soul vibe – and the set features 16 Epic tracks that include "A Little Knowledge", "Recapture The Magic", "Soul With A Capital S", "Please Come Back To Stay", "You", "Rhythm & Business", "Come To A Decision", "Undercurrent", "Diggin On James Brown", and "How Could This Happen To Me". © 1996-2019, Dusty Groove, Inc.